Intersection 101 includes five Brisbane based design practitioners: Jennifer Marchant, Suzie Wiley, Kylie Bickle, Paul Fairweather and myself. As we continue our journey in our respective fields, we provide each other support and mentoring to achieve our creative and business goals. 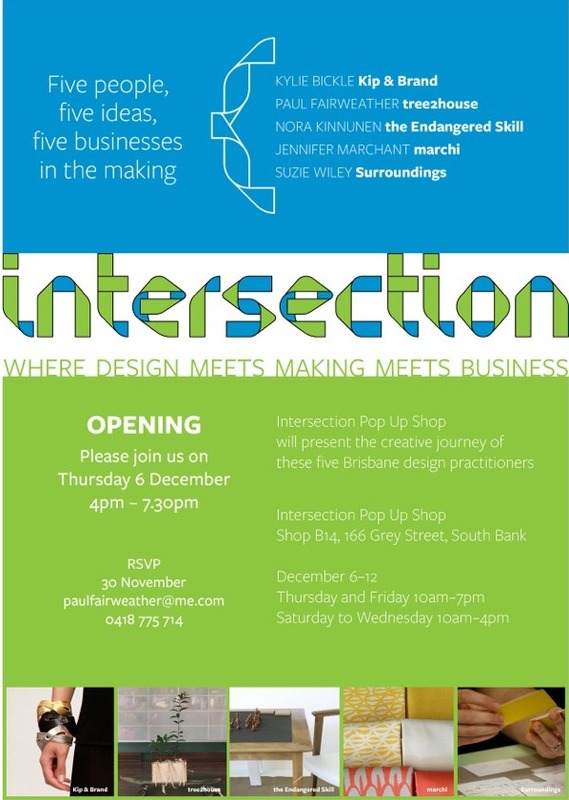 Intersection hosted a Pop Up Shop in Grey Street, South Bank in December 2012 to showcase the work of this group. Follow our journey on the Intersection facebook page. A big thank you to South Bank Corporation in their ongoing support of local creative initiatives.